Water is a chemical substance formed of a composition of oxygen and hydrogen. It is an immensely important life sustaining substance extensively available through out the planet and indispensable for the existence of all known life forms on Earth. On the other hand, alcohol is an organic compound comprising of a hydroxyl group (-OH) that is attached to an atom of carbon belonging to an alternate alkyl or alkyl group. In general, the term ‘water’ refers to the liquid state of the substance. It also exists in two other forms, as ice in the solid sate and as steam or vapor in the gaseous state. Unlike water alcohol exists only in the liquid state. The most common type of alcohol that is used in the preparation of most of the alcoholic beverages is Ethanol. Moreover, alcohol in common terms precisely refers to ethanol. Alcohols basically have three foremost subsets, primary (1Â°), secondary (2Â°) and tertiary (3Â°), depending on the quantity of carbon atoms the C-OH group carbon is tied to. Talking of the chemical composition of water, a single molecule of water comprises of one oxygen atom covalently bonded with two hydrogen atoms, the chemical formula being H2O. Most of the central faction of alcohols comprise of other minor acyclic alcohols (the general formula for alcohol is CnH2n+1OH). Water is essentially a tasteless, odorless substance that is available in liquid form under conditions of standard pressure and temperature. Alcoholic liquids often tend to have a specific odor and initiates a certain reaction in the nasal tracts termed as ‘hanging’ and ‘biting’. Most alcohols have a slight stringent taste. The boiling point of water varies according to the barometric pressure in an area. This is common for most liquids. For instance, at sea level, water boils at 100 Â°C (212 Â°F) whereas at a high altitude, like on a mountain top, water boils at about 68 Â°C (154 Â°F). Interestingly and quite contrarily, water near the ocean floors close to the geothermal vents may continue to remain in the liquid form even under hundreds of degrees of temperature. Alcohol (ethanol) on the other hand has a static boiling point; it boils at a temperature of 78.29 Â°C. Water is the most important, life sustaining substance on Earth. Regarded as the universal solvent, it helpfully dissolves most of the substances like salts, acids, sugar, alkalis and even certain gases like carbon dioxide and oxygen. It is indispensable to the healthy living of all life forms as water is one of the vital components in both plant and animal cells. On the other hand most of the alcohols are consumed as hard drinks, lounge drinks or beverages on occasional purposes. On certain occasions alcohol is also used as a fuel. Alcohol also finds a rampant use in medical, scientific, and industrial experiments. 1.Water exists in three distinctive states, solid (ice), liquid (water) and gaseous (steam or vapor). But alcohol exists only in the single liquid state. 2.Water is a molecular substance while alcohol is a chemical compound. 3.The boiling point of water at sea level is 100 Â°C whereas the boiling point of alcohol or ethanol is 78.29 Â°C. Abishek. "Difference Between Water and Alcohol." DifferenceBetween.net. 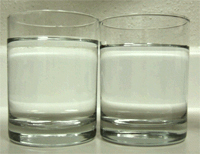 October 11, 2011 < http://www.differencebetween.net/science/difference-between-water-and-alcohol/ >. 1. The general formula for an acyclic, saturated alcohol should be CH3(CnH2n)OH. Methanol (CH3OH) for n=0 and ethanol (C2H5OH) for n=1 are two basic examples. 2. Alcohols exist in 3 distinct states of matter just like any other substance. Ethanol for instance has a lower boiling point and melting point than water, but these properties indicate that it exists as a solid and a gas as well as a liquid (just as H2O does). 3. Alcohols do not have a “static boiling point”. The boiling point of all liquids varies with atmospheric pressure just like water. They are often stated in sources as a single value recorded at a standard pressure of 1 atmosphere. 4. There is no difference between a “molecular substance” and a “chemical compound”. The two terms mean one and the same thing: a substance that consists of two or more covalently bonded atoms (different species of atoms in this case versus an “elemental compound” like O2 or Cl2). I don’t intend to attack or defame the author with these corrections, but I believe a brief search of other sources reveals these revisions to be true. I hope this comment is helpful in any amends that are considered. You interestingly failed to mention the very important “chemical “ state of water, as it exists in hydride bond within concrete . Limestone and other hydrogen bonded compounds .